If you’re reading this post, we know why. You’re one of nearly 5,000 people every month with a question about Manly Indulgence candles. 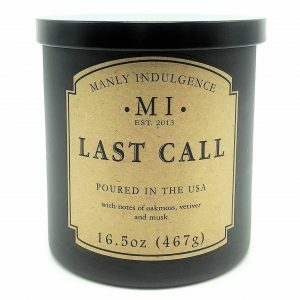 Who makes Manly Indulgence candles? 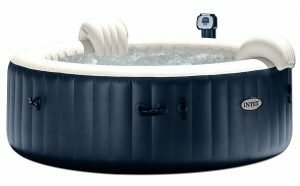 Where can I find the Manly Indulgence website? 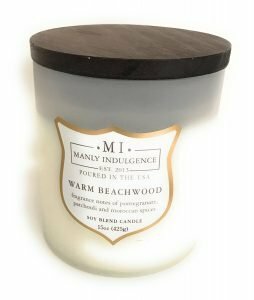 Where can I buy Manly Indulgence candles? Or, perhaps you’ve just typed in the name of one of their candles, trying to find them online. In any event, Google is sending the vast majority of you here — to ManCandleReviews — for answers. And for that we’re grateful. Hopefully, we’ll be able to provide good recommendations for you about these fine premium candles. 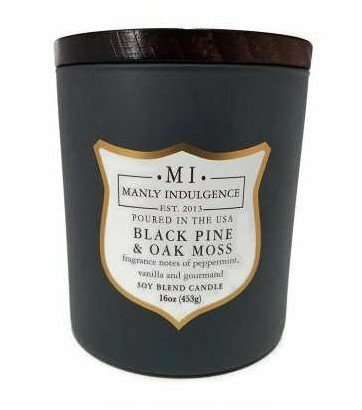 In this post, we’re going to give a brief overview of the nine Manly Indulgence candles we’ve reviewed so far on this site, with notes also on what we liked and what could be improved. But first, a side note in an effort to answer the three questions above. Believe it or not, whoever is making and distributing these great candles has a serious aversion to publicity. We have been trying for a month to pull back the veil that currently cloaks their identity. We want to know — like you — exactly who pours these candles and gets them ready for distribution. And what about the names like Last Call and Five O’Clock Shadow? What was the inspiration behind those intriguing names? And how do they go about deciding what essential oils to put into each candle’s pour to make them stand apart from other candles? This sort of thing is, after all, more art than science, as anyone who has done it will tell you. We’re as curious about these details as you are. 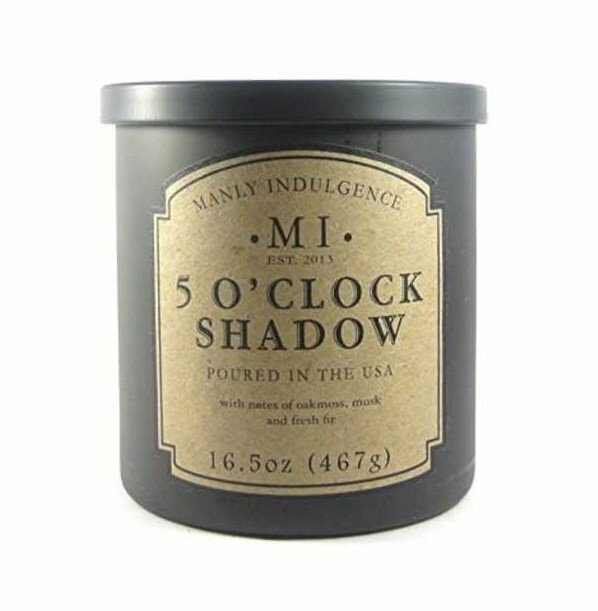 So far, we’ve determined that Manly Indulgence candles are being distributed by a company called MVP International in Charleston, South Carolina. We got that much off the bottom label of our jar of Last Call. The candles themselves are made available to buyers online at Amazon by a handful of independent resellers. These are folks — typically only one or two people — who have made an arrangement with MVP International to buy the candles wholesale. 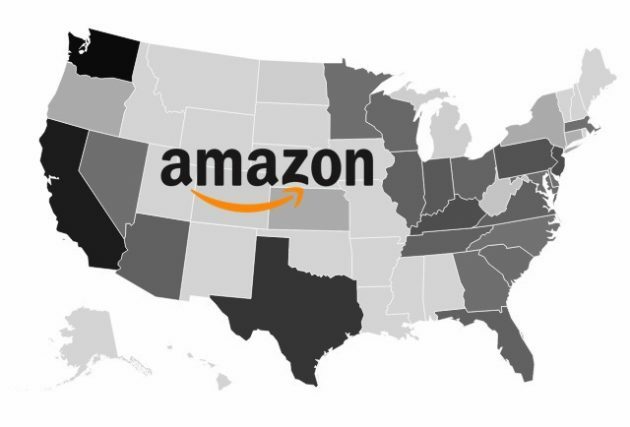 Then they give their inventory to Amazon, who stocks them in one of Amazon’s 100+ distribution warehouses in the U.S. alone. That way, when you order a candle, they can pretty much guarantee you’ll have it in your hands within two business days — sometimes sooner — if you’re a member of Amazon’s ingenious Prime program. But trying to find someone to tell us more details as to how and where each candle is actually made has so far not yielded much in the way of information. Given M.I.’s epic reluctance for publicity, it likely is not an “official” site, but one put up by an enterprising fan of the candles. In any event, it looks like someone is finally taking note of the tremendous interest in All Things Manly Indulgence. However, if they can indeed aggregate all the M.I. candles in one place, at the best price, that will certainly provide a needed service. Here are nine excellent Manly Indulgence candles for your consideration. We’ve given each one a thorough test and can speak about just how good they are with first-hand conviction. But they’re not without a few things that could be improved upon, as we note at the end of all reviews. This candle is among the best we’ve tested. It’s triple scented for a wide throw, so we could smell the distinctive aroma 50 feet away. Masculine aroma that isn’t sweet or flowery. Burns cleanly for a very long time. 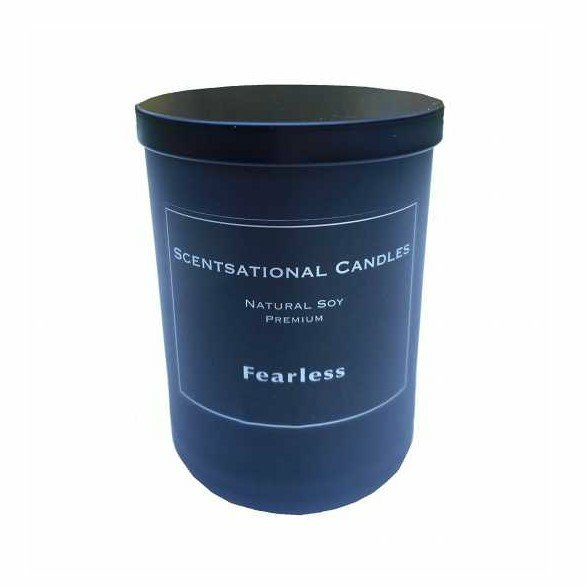 Perfect for guys who are seeking a high-quality, fresh-smelling candle for their den, office or so-called Man Cave. The scent has been described in a number of ways: fresh, manly, sophisticated. For those of us here at ManCandleReviews, we can report that the scent is all of that and more. Really, very pleasant. And the aroma penetrates well beyond our testing lab. In fact, we can smell it more than 80 feet away in the farthest room. Last Call comes in a flat black jar. 16.5 ounces, with a single wick that, again, throws a generous aroma, fairly filling a house. The candle burns well — we were afraid its single wick might prove to be inadequate at producing the requisite deep melt pool that allows the unbonded essential oil molecules to fill the air with fragrance, but no worries on that score. Looking for a clean-burning soy blend candle that also smells great? Look no farther. You’ll love the wonderful notes of patchouli, pomegranate and Moroccan spices. Add to this a unique wide wooden wick that allows the candle to burn evenly and bright all the way to the bottom of its generous 16.5 ounce container and you’ve got a real winner. It’s another great creation from the folks at Manly Indulgence. It’s a bit of an unknown product, however. While other MI candles have captured the aromatic spotlight, this candle has been sleeping quietly but potently, awaiting its chance. Its packaging is a little brighter than other MI candles. All the better to stand out from the common herd. As stated earlier, strong overtones of pomegranate dominate in this long-burning, aromatic candle. 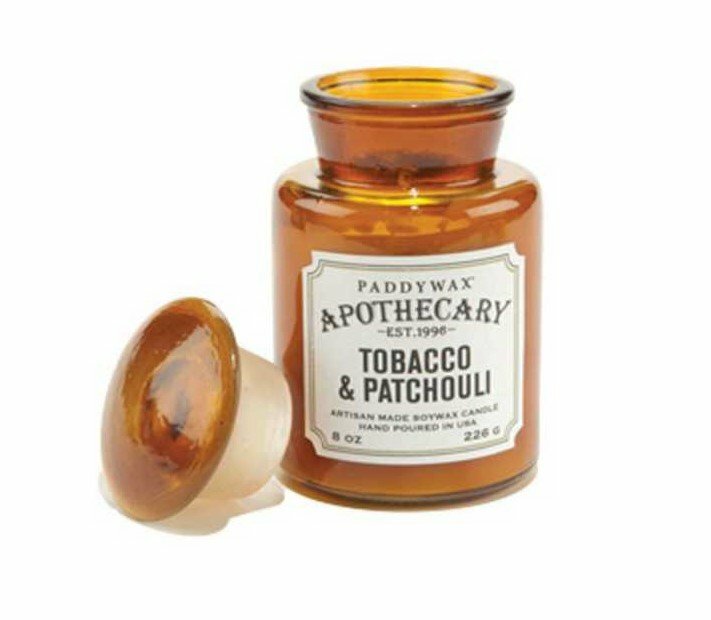 That’s followed closely by the much better-known patchouli scent. Add to this the unexpected — yet subtle — hints of Arabian spices and you have the makings for a memorable candle experience. We award Warm Beachwood a full five stars for amazing aroma and unique wood wick. Another amazing candle from the experienced candlemakers at Manly Indulgence. Long-burning with a wide scent throw, the scent is musk, fresh fir and oakmoss. 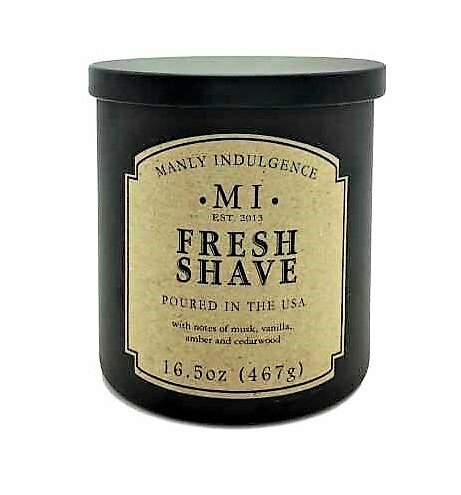 Like the other MI candles, it’s a great value at 16.5 oz. Burns all the way to the sides of the container for 60 hours — no cratering. 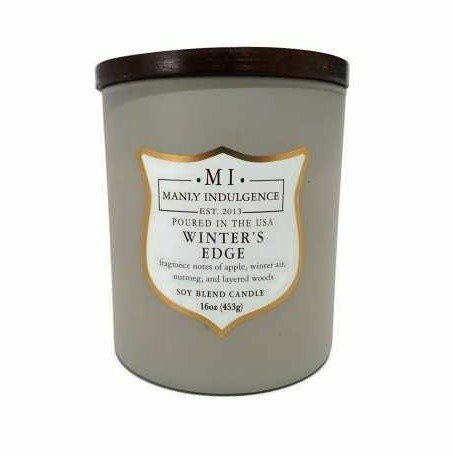 While other candlemakers wax eloquent about their more exotic aromas, the MI company is spare in its descriptions. But it’s easy to ascertain the essential oils used in this one –heavy on the musk, freshly harvested fir branches, and — obscured but recognizable — oak moss. In fact, even their packaging is decidedly downbeat. 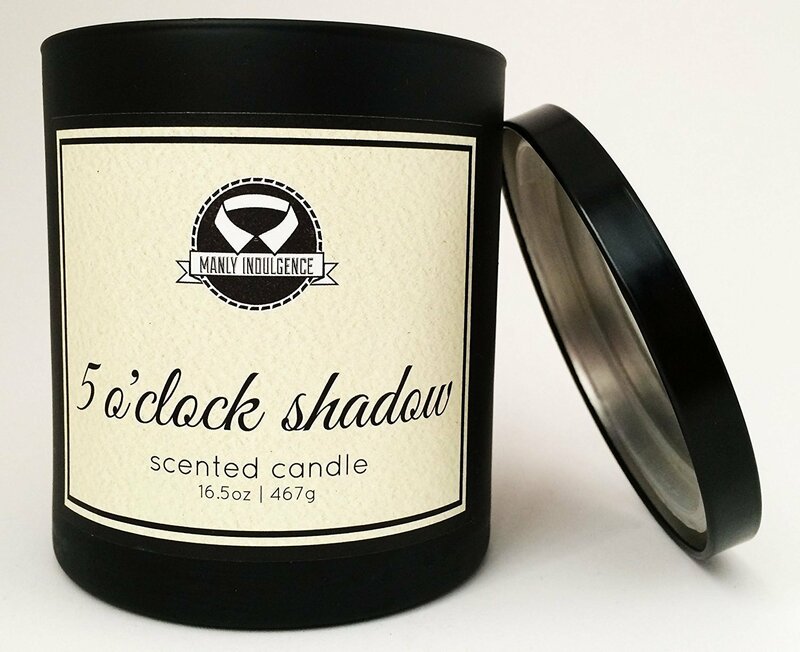 While other chandlers opt for fancy cut glass, the MI candlemakers opt for a utilitarian approach, pouring their scented soy wax into heavy black glass containers. These don’t get even moderately warm as the flame heats the wax to a molten state. Thus, if you want to move the lit candle someplace new, you can easily pick it up and do so. 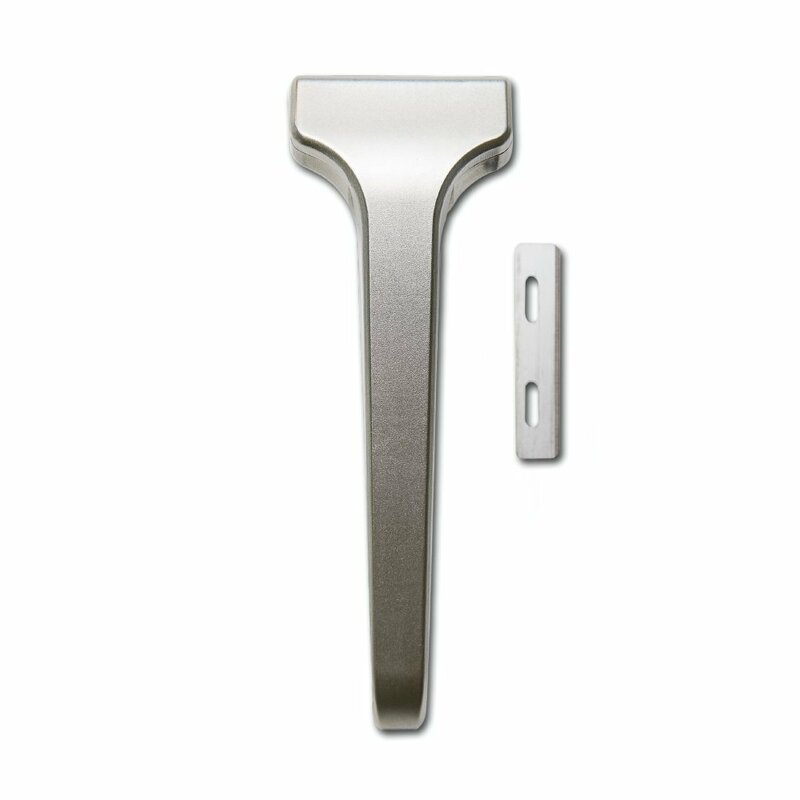 We give 5 O’Clock Shadow our highest rating and pass along a top recommendation to you. This candle gets high marks from those of us here at ManCandleReviews. The scent throw is spectacular, filling our entire home-based lab with hints primarily of peppermint and vanilla. This candle, like the other MI scents, burns a very long time. There’s no need to trim the wick on this generously poured candle. It’s self-adjusting, keeping its steady flame just above the molten sea of aromatic wax that surrounds it. Anyway, the candlemakers can perhaps be forgiven for trying to wax eloquent about their outstanding creation. 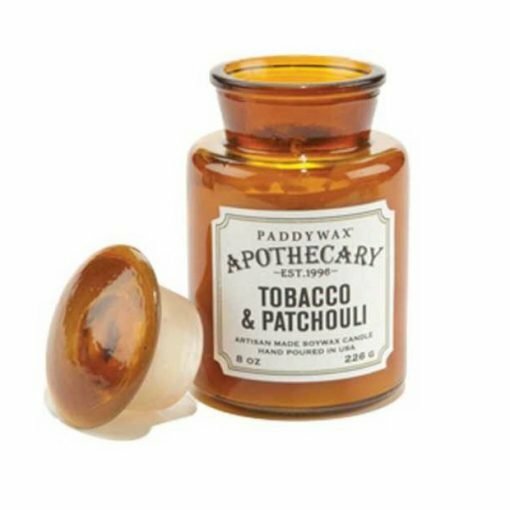 It really is a fine candle, no matter what it evokes in terms of associated aromas. Two thumbs up from those of us here at ManCandleReviews. This entry deserves the high rating it receives from Amazon customers. A fresh-smelling candle with a wood-burning wick. Come for the wick. But stay for the pleasant aroma. The scent is fresh, filled with the smell of pine boughs. Generous 16.5 ounces. Burns cleanly for 60 hours. The candle gives off a strong woodsy smell that permeates your living space while the wood wick crackles enticingly. Finally, a customer reports that while he originally bought the candle as a gift, he has decided to keep it for himself. “The smell is incredible,” he adds. We agree. 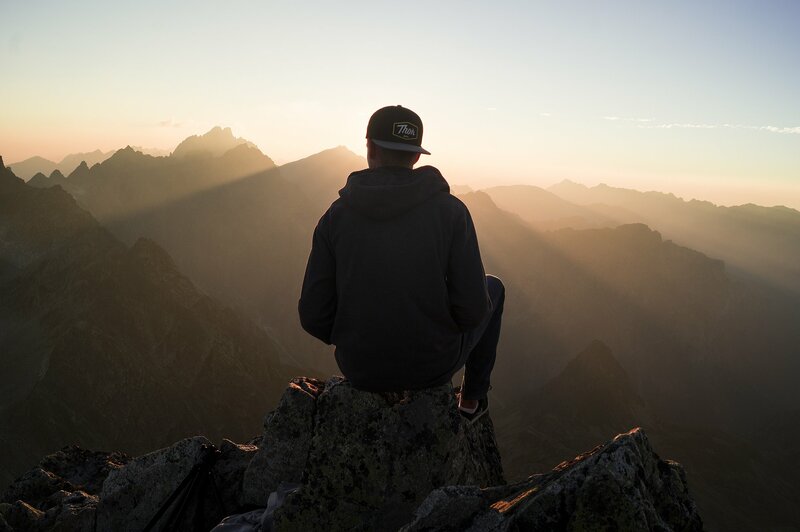 The aroma puts us in mind of a camping trip deep into a pine forest, rising first thing, and stepping out of the tent to inhale the rich pine smell all around us. Invigorating and memorable. Understated packaging doesn’t dampen the overall value of this strongly scented offering. Their line of super scented candles are all unique and should be well-received as a wedding gift, housewarming present or just as a thoughtful gift of no particular occasion for your best friend. This is one of the better aromas formulated by Manly Indulgence. Manly, yet not overpowering, they burn cleanly and last a very long time. 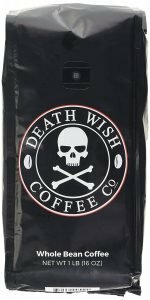 It features pure soy wax, is hand-poured, and weighs in at 16.5 ounces. The scent throw is outstanding on this candle. If you like the way you smell right after shaving, this is the candle for you. It’s one of the better aromas formulated by Manly Indulgence. 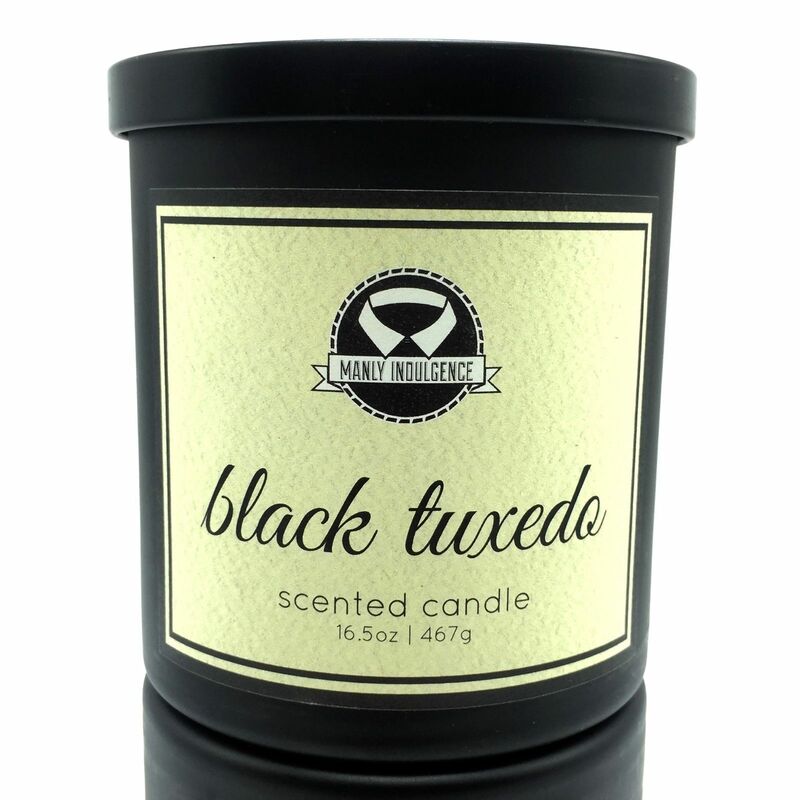 Soy-based and aromatic, these candles will send exotic aromas throughout your home, office or Man Cave. Described by many as manly, yet not overpowering, they burn cleanly and last a very long time. Visitors arriving at your front door will likely remark on the pungent aroma — so different from competing brands that claim to be triple-scented but barely throw a scent more than ten feet from the burning wick. In addition, one customer review raves about the candle’s peculiar ability to counteract cigar smoke. And another compared the aroma to frozen shave cream. Who freezes shave cream, we wonder? Suffice to say you won’t be disappointed. Visions of a crackling fire in a mountain cabin. Bergamot, lemon, sage and rustic oak all swirl together in the melting wax. One can definitely smell the lemon. And, spicy sage is unmistakable. “Old oak” is also there – fresh-sawn logs, stacked high in the winter sun. This outstanding candle brings visions of lying in front of a crackling fire in a mountain cabin deep in the woods of Colorado — with light snow falling outside. We had a little trouble distinguishing all the aromas claimed by the candlemaker. Foe example, “bergamot” left us scratching our heads for a real-world aroma comparison. And “old oak” was also a puzzler. But all in all, a very rewarding candle experience. No. 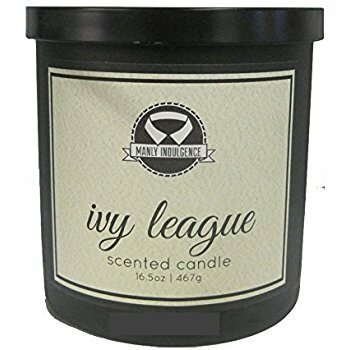 8 Manly Indulgence Ivy League Scent Candle – 1 Wick – 16.5 Oz. Either way, it’s a winner. Soy based. Burns 50 hours or so. Its Amazon approval rating is a robust 76 percent 4- and 5-stars. 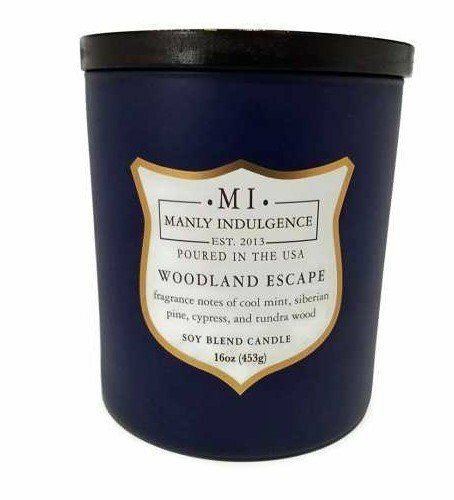 This is also one of M.I.’s newer candles, sporting a streamlined logo and label. 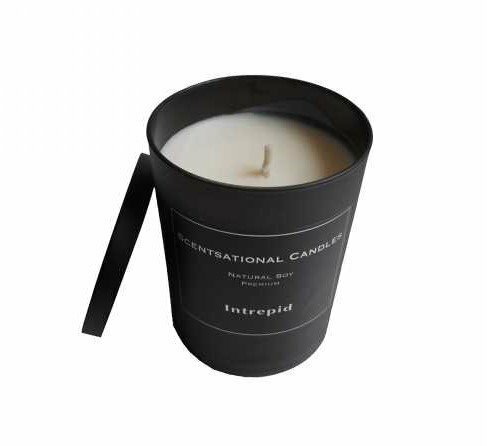 Our thoughts on it: Considering that it only has one wick, this candle nevertheless creates a healthy melt pool, releasing the trapped molecules of essential oil and sending its fragrant aroma all over our home office and beyond. If you only have enough money to spend on one candle, this should probably be it. The aroma is sophisticated and not flowery in the least. And, like all MI scents, very strong. With a very strong customer approval rating of 4.6 stars, this is a favorite of many. 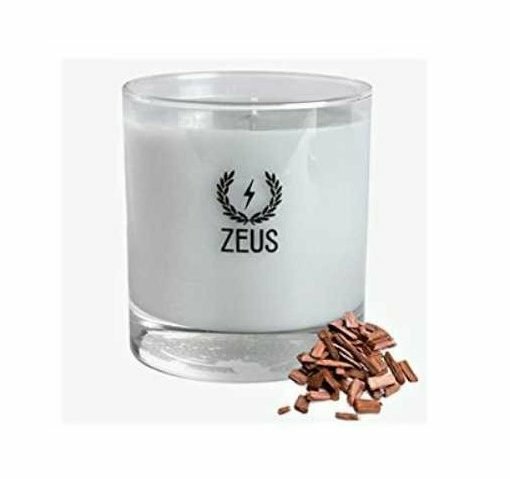 We thought the candle might be just a tad too sweet for many men who would rather have their man caves exude a more “manly” scent. But on balance, it more than holds its own when it comes to filling a room with aroma.